This book is for intermediate and advanced Buddhist practitioners who wish to deepen their understanding by joining practice with study of traditional ideas. 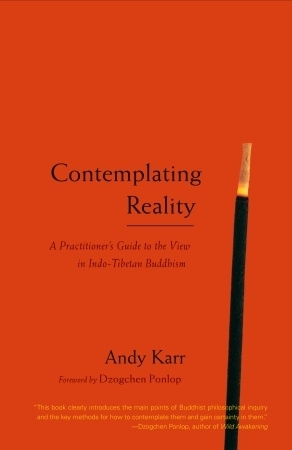 Karr's book introduces the reader to contemplations that investigate a series of views of reality as they evolved in the Buddhist tradition. These views are explained in plain English, with contemporary metaphors and examples to bring out their meaning for modern Buddhists. Quotations from both historical and living meditation masters and scholars are presented as examples of key principles. Topics include Egolessness Appearances and reality Methods of investigation Enlightenment Tenets of different schools through the centuries. The root of compassion. The origin of thoughts. Guided exercises encourage the reader to trust in experiential understanding through deep contemplation of complex concepts. The book is structured as a guide for the readers journey.